The journeys of Lent and of life are seldom straight roads, but are usually like complicated mazes or labyrinths. While we often can feel lost along the complex twisting patterns of the labyrinth path, to travel the maze of the Way is the greatest of all adventures. This guidebook of daily reflections for this journey of transformation has the power to change "to radically enrich" our way of thinking, loving and believing. Each day's reflection—which takes but a few minutes to read—is followed by brief questions/exercises aimed at inspiring personal implications. Short of time? A few minutes daily with Father Hays can nourish a hungry soul for 24 hours. 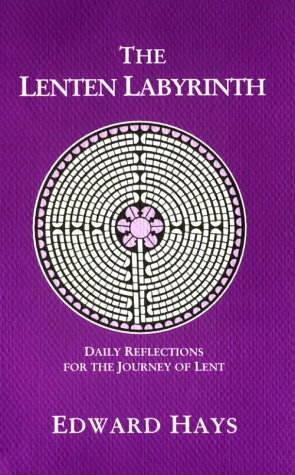 Both books of daily Lenten reflections--The Ascent of the Mountain of God and The Lenten Labyrinth—maximize our limited resources of time, making our journey through Lent into the heart of Holy Week a time of real renewal.